Designed as a porous, breathable, cost-effective, weed control membrane. Keeps ground moist and protects from extreme temperatures. 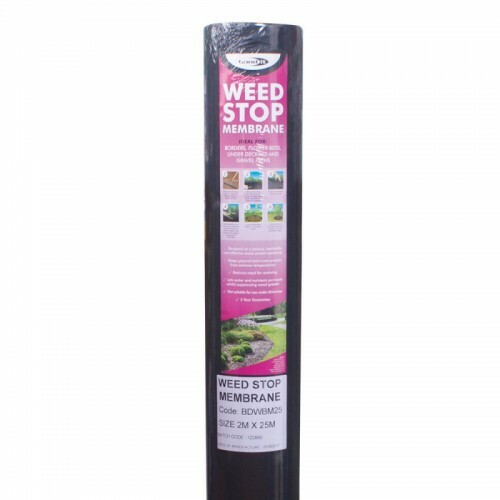 Reduces need for watering and lets water and nutrients permeate whilst suppressing weed growth. 5 year guarantee. Ideal for borders, flower beds and lining planters. Note: not suitable for use under driveways or gravel paths.